So many people I talk to confuse gluten free with calorie free, sugar free, and fat free. Even with the mainstreaming of celic disease and gluten free diets there remain many misconceptions about what it means to be gluten free. Many people think that gluten free foods and baked goods are healthier than other foods. This couldn’t be further from the truth. Gluten free cooking and baking can be healthy in the same way you can make all food healthier by using less fat, whole grains, more veggies, applesauce in place of butter etc. Eating whole, unprocessed real foods along with consistent exercise is the foundation to a healthy lifestyle and diet. The principles of baking instead of frying, steaming, roasting, and grilling also apply. For those conscious of their sugar intake experimenting with natural unrefined sugars is another way to count calories in your meals with or without gluten. So, what exactly is sugar free? Don’t all foods contain sugar? I posed this question to Nicole Morrissey, RD and fellow food blogger of Prevention RD. Nicole is the Director of Nutrition Services at a small hospital in southwest Michigan. I love her blog and I posed my question during one of her online QA sessions. Check out her thorough response below and remember that gluten free is just that; foods that do not contain gluten or grains containing wheat, barley or rye. Gluten free foods can be just as delicious, healthy, and/or unhealthy as their gluten full counterparts if prepared the right or wrong way. Just like any other food. QA with Nicole Morrissey of Prevention RD. : What exactly is sugar free? Prevention RD: What a great question! 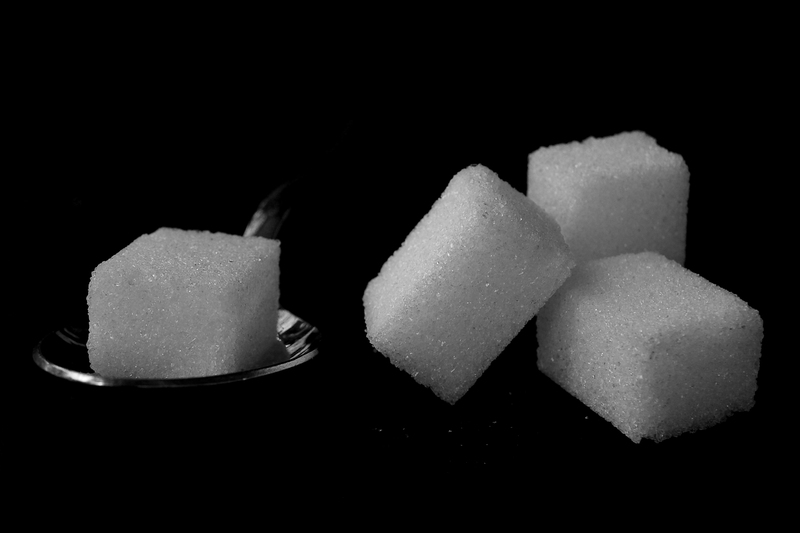 One of the things I find myself saying often is, “Sugar-free does not mean carb-free!” – a very common misconception, especially for diabetics. In truth, I don’t look at sugar very often on food labels because nearly every food contains sugar. By law, “sugar-free” means less than 0.5 grams of sugar per serving. Carbohydrate, on the other hand, represents sugar, complex carbohydrate, and fiber. Focusing on sugar can also deter people from eating foods that are actually quite healthy, such as fruit (fructose) and dairy (lactose). Another point is sugar alcohols which will show up on ingredient lists often listed as sorbitol, xylitol and/or mannitol. While sugar alcohols are not sugar, they have similar tastes and properties with less calories, but are not carbohydrate-free. Some of the products I may compare sugar on include cereal and yogurt – for some reason, those 2 foods tend to vary a lot in actual sugar content and may be worth comparing. Otherwise, I urge people to focus more on fiber than sugar. I hope that helps!